Introducing the Giving Day Gift Basket! To donate to multiple organizations on GiveGab during a Giving Day, you can use the giving day gift basket! 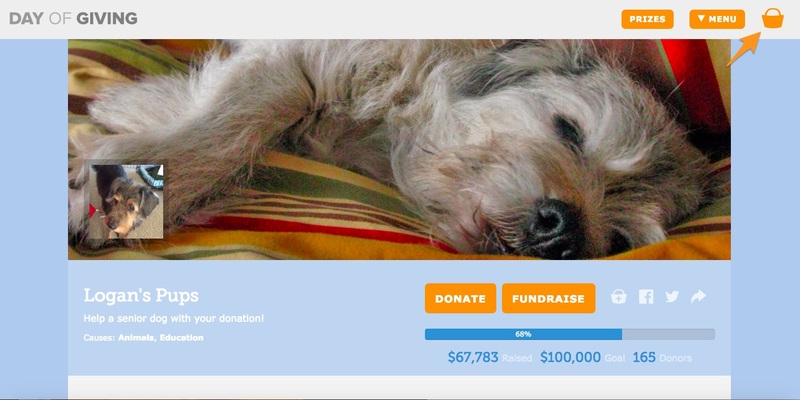 On the giving day home page, you can use the search bar at the top to find the first organization you wish to donate to. Click on the basket icon with the plus sign to add this organization to your gift basket. 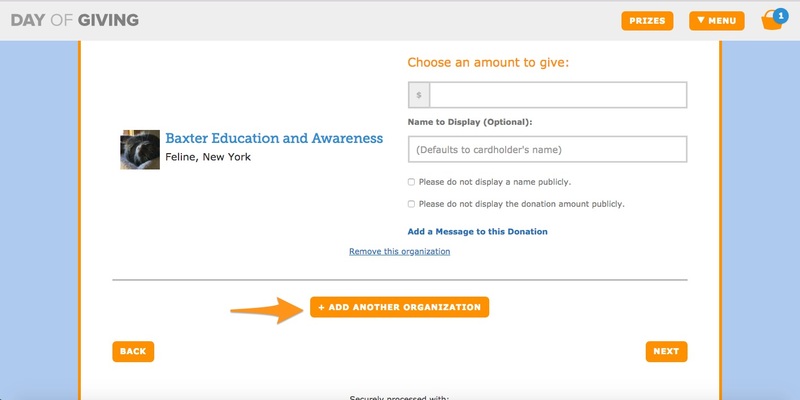 If you would like to donate to multiple organizations, you can continue to search for organizations using the search feature, and following steps 1 and 2. 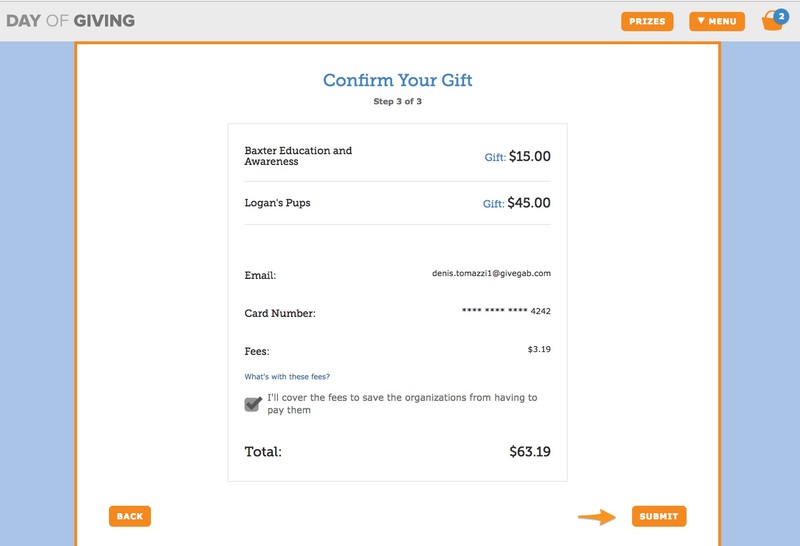 From the gift basket, you can choose to make the donation anonymous, add a message to the donation, attribute the donation to a specific campaign, or remove the organization. Once you have selected "Next" after choosing all the organizations you wish to donate to, continue to the payment screen. 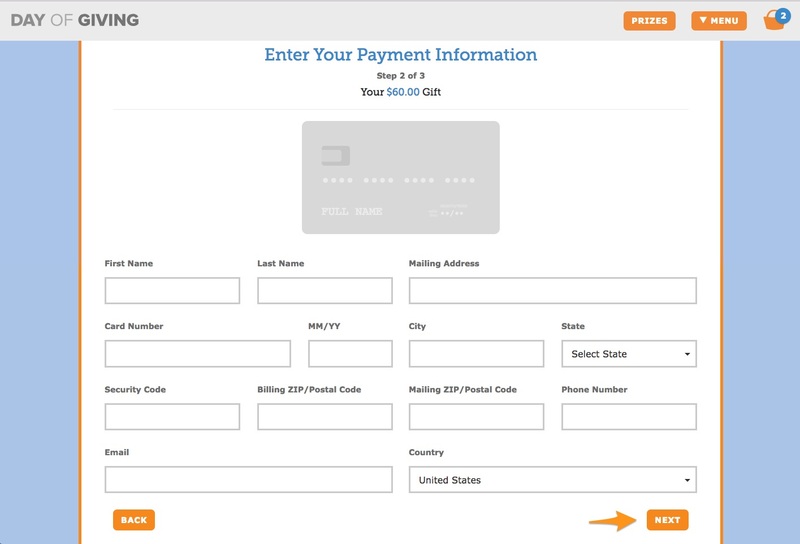 Once you have filled out all the information for the payment, select "Next". On the final screen, you will be able to review all your donations, decide whether or not to cover fees, and then "Submit" your payment. If you have any other questions, feel free to reach out via the blue chat bubble, or shoot us an email to customersuccess@givegab.com.